Drugs having an important role in curing the various diseases in health care. Therefore, drugs must be manufactured to achieve a predictable therapeutic response with highest quality levels. End product testing by itself doesn't guarantee the quality of the product. A properly designed system will provide a high degree of assurance that every step, process and change has been properly evaluated before its implementation. Validation is the most common word in the drug development, manufacturing and specification of finished product. Process validation is a basic factor for drug product safety and quality and thus a fundamental component of the quality assurance system used by pharmaceutical manufacturers. Process validation is the key element to assure the identity, strength, purity, safety, efficacy and maintaining the quality of final product. Process validation emphasizes the role of objective measures, statistical tools and analyses, highlights knowledge, detection, establishes the flexibility, constraints in the manufacturing process, control of variability in the attainment of desirable attributes and gives assurance on consistent of quality and productivity throughout life cycle of product by preventing undesirable properties. The present article gives an introduction about validation, overview about process validation and its importance in the manufacturing of solid dosage form. Quality is always an imperative prerequisite when considered any product. Therefore, drugs must be manufactured to achieve a predictable therapeutic response to a drug included in a formulation which is capable of large scale manufacture with reproducible and highest quality levels in the finished product. Nowadays validation has become one of the pharmaceutical industry's most recognized, discussed subjects and fond in number of pharmaceutical industries. It is a critical success factor in product approval to get commercialization of the product. Among the various reasons for process validation, the first and primary reason is a regulatory requirement for almost every process in the global health care industry like pharmaceuticals, biologics, and medical devices. Regulatory bodies in the various countries across the world expect that the organization needs to validate their manufacturing processes. Once a process/product is systematically validated, it could be easily justified for the reduced sample size and intervals, which provide a measurable return on the effort of validation. Aside from utility systems, this is hardly ever realized and represents one of the major failings relative to the implementation of validation in pharmaceutical industry [1-3]. Nowadays more sophisticated drug delivery systems are introduced into the market, but tablets are still by far the most widespread solid dosage form in the global world. ➢ To prove that equipment, system and process is consistently doing what it is supposed to do. (i. e. the process is under control). ➢ To determine the process variables and acceptable limits for these variables and to set up appropriate process control [4-6]. Process validation is defined as "establishing documented evidence which provides a high degree of assurance that a specific system, related equipment and process consistently meet the approved specifications and produce products meeting predetermined quality attributes . The validation activities are performed in accordance with pre-approved written protocols. The facility, utilities, major manufacturing equipment and laboratory instruments should be qualified by performing Design Qualification (DQ)/ Installation Qualification (IQ)/Operational Qualification (OQ)/Performance Qualification (PQ) as per the approved protocols. Protocol is either be designed by the user department or supplied by the vendor. Preferably the skilled personnel engaged internally or externally conduct equipment / instrument qualification. Design Qualification (DQ): The DQ is aimed to specify that the equipment, system or facility is designed in accordance with the requirements of the user and Good Manufacturing Practice (GMP) guidelines. A protocol should be made for design requirements/technical specifications with consultation of the supplier and a report is documented for the same. Confirmation to the parameter specified in DQ. 1. Equipment description and identification. 2. Verification of major components. Installation Qualification is considered completed only after the equipment has been properly installed; all the above said parameters are verified and documented as per the approved IQ protocol. The validation team check, identify and enlist the appropriate safety features provided for various service lines and prepare a preventive maintenance programme. Operational Qualification (OQ): During Operational Qualification documented evidence are made to establish that all parts of the equipment work within their specifications and operational parameters. 4. Check and calibration of sensor, probes, gauges, recorders, air flow rates, directions, pressures, temperatures etc. 9. Operational testing as per process and system requirements and challenging. 10. Training for operators and supervisors for operation and cleaning of equipment. The equipment is operated for each operating component to verify that all operating features are functioning as per the specifications. A special attention is paid to service line connections and safety features. Critical devices are identified and calibrated against a standard device. The completion of a successful operational qualification allow the finalization of calibration, operating and cleaning procedures, operator training and preventive requirements. It shall permit the formal "release" of the facilities, systems and equipments. Performance Qualification (PQ): Performance qualification is the final stage of qualification, which demonstrates that how the equipment/system will perform when challenged under simulated or actual production conditions. A series of tests are designed to demonstrate that the equipment / system is capable to perform consistently and meet required specifications under routine production operations. Process validation is defined as "establishing documented evidence which provides a high degree of assurance that a specific system, related equipment and process consistently meet the approved specifications and produce products meeting predetermined quality attributes. ➢ Quality, safety, and efficacy are designed or built into the product. ➢ Quality cannot be adequately assured merely by in-process and finished-product inspection or testing. ➢ Each step of a manufacturing process is controlled to assure that the finished product meets all design characteristics and quality attributes including specifications. Prospective validation: Prospective validation is carried out during the development stage of a product and it is required for new manufacturing formulae or methods of preparation where the latter are adopted. The purpose is to ensure that the defined process, using the materials and equipment specified, should be shown to yield a product that is consistently of the required quality and quantity what it is proposed to do based on the preplanned protocols. In this phase the extent to which deviations from the chosen processing parameters can influence in the product quality is also be evaluated. In general the final batch size should not be more than 10 times the batch size of the representative development batches. The process should include identification and evaluation of individual steps, identification of critical situations, design of trial plans and set of priorities, performance of trials, recording of results, assessment and evaluation of observed results. If the results are unsatisfactory then the processes are modified and improved until acceptable results are obtained. This is essential to limit the risk and errors that may occur on production scale. Retrospective validation: Retrospective validation is based on a review of historical manufacturing and testing data, and the analysis of accumulated results from past production to assess the consistency of a process. It is assumed that the composition, procedures and equipment remained unchanged. During retrospective validation results of in-process and final control tests are evaluated. A total of 10-25 batches (or more), manufactured over a period of 12 months, is used for reviewing the results, to provide a statistically significant picture. Quality control charts could be used when performing retrospective validation. Failure investigations should however, be performed separately. All difficulties and failures recorded are analyzed to determine limits of process parameters and product-related problems. These should include rejections, complaints and returns. As retrospective validation is not considered to be a quality assurance measure it should not be applied to new processes or products. ➢ Choosing a critical quality parameter (e.g. assay value, unit dose uniformity, disintegration time and dissolution). ➢ Extracting the analytical results from each batch (the results of a batch are grouped as subgroups). ➢ Pooling the results from the batches. ➢ Calculating the grand average (process average) and control limits (upper and lower control limits). ➢ Plotting the results on graphs or charts. Concurrent validation: Concurrent validation is carried out during normal production. This method of validation can only be successful if the development stage has resulted in a proper understanding of the fundamentals of the process. It is carried out during normal production of products intended for sale. It should involve close and intensive monitoring of the steps and critical points for at least first three production scale batches. The in-process control results are used to provide some of the evidence required for validation but these are no substitute for validation. Validation in the production unit mainly comprises of the determination and evaluation of the process parameters of the facilities applied for the scale-up to final batch size. The control of all critical process parameters, the results of the in-process controls, final controls and stability tests should prove the suitability of the important individual steps of a procedure. Revalidation: In general Revalidation is exploratory review the current performance of the validation effect to confirm the validated status of the facilities, systems, equipments, manufacturing processes, software and testing. ➢ Transfer of a product from one plant to another plant. ➢ Changes made in the manufacturing process, the cleaning process or other changes which might have impact in the quality of the product. ➢ Change in the batch size. ➢ Consecutive fail in the batch to meet the predetermined specifications with respect to process and product. ➢ Revalidation procedures depend on the extent of the changes made in the process and the effect upon the product. Order of Priority in Process Validation : It is not possible to validate the company's entire product; hence it is worthy to enlist the various categories of the product to be validated. Higher priority is given to company's most profitable products. 3. Ophthalmics, other sterile products, and medical devices. Process Qualification: This stage has two elements: (1) design of the facility and qualification of the equipment and utilities and (2) process performance qualification (PPQ). Continued Process Verification: The goal of the third validation stage is continual assurance that the process remains in a state of control (the validated state) during commercial manufacture. 3. Maintenance of the process in a state of control during routine commercial production. 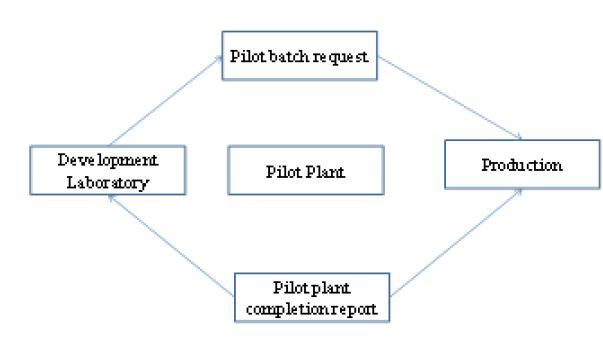 Process validation lifecycle approach between the three stages is shown in Figure 1. 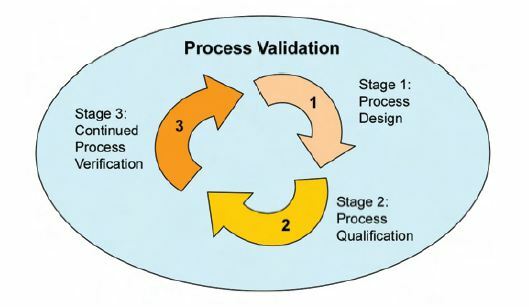 Figure 1: Process validation lifecycle approach between the three stages. ➢ Gain a high degree of assurance in the performance of the manufacturing process by a manufacturer before any batch from the process is commercially distributed for use by consumers. ➢ This assurance is obtained from objective information and data from laboratory, pilot, and/or commercial scale studies – this implies a need for greater scrutiny of process performance during the early stages of commercial manufacture. ➢ A successful validation program depends upon the skilled interpretation of the information and knowledge gained from product and process development regarding sources of variation, its impacts, and the associated risks. ➢ This knowledge and understanding is cited as the basis for establishing the appropriate control strategy during manufacturing process. ➢ Design and development information in the product and process are used to develop the approach in process validation. ➢Testing (in-process, release, characterization) of each significant step of the commercial manufacture process ensure the scientific knowledge of the process. ➢ The significant emphasis in the lifecycle is on maintaining the process in a state of control over the life of the process, which will require ongoing data analysis of both intra-batch and inter-batch variability, and appropriate provisions to address deviations and nonconforming data. ➢ Process validation emphasizes the importance of continued process verification by Quality Assurance (QA) professionals and line operators. ➢ Not surprisingly, the guidance focuses on the importance of demonstrating, documenting, and utilizing process understanding in designing effective validation programs. It provides a strong lead in acknowledging that qualification programs devoid of process understanding will not guarantee the assurance of quality required. Typical pharmaceutical manufacturing processes comprise a serious of unit operations which includes: machinery, methods, people, material, measuring systems and environmental conditions, etc. ➢ Control such variations on the risk they represent. To assure batch uniformity and integrity of drug products, written procedures need to be established and followed to test for each batch. Such control procedures are established to monitor the output and to validate the performance of the manufacturing processes that may be responsible for causing variability in the characteristics of in-process material and the drug product. • SPC will not improve a poorly designed product's reliability, but can be used as a tool to maintain the consistency of how the product is made. In-process specifications establishment: In process specifications are established based on the previous acceptable process average and process variability determined by the application statistical procedures wherever appropriate. Samples must represent the batch under analysis. Statistical quality control criteria as condition of approval and release of batch must meet its predetermined specifications. 5. Clarity, completeness or pH of solution. First four items are related to process validation of solid dosage form. Items 1 and 3 are associate with variability in the manufacturing process. Items 2 and 4 are influenced by the ingredient selection in the product formulation. Item 3 content uniformity and unit potency control is directly related with mixing process. • Installation, quality and certify plant, facilities, equipment and support system. ➢ API may represent the most uncontrollable component. During the early stages of process development, parameter target value and tolerance limits are based on good scientific rationale and experience knowledge gained from the earlier and pilot scale studies. During product and process development both the inputs and outputs of the process are studied. The purpose of the study is to determine the critical parameters and attributes for the process, the tolerance for those parameters and how best to control the various experimental and analytical techniques used for the process characterization. In subsequent product development the parameters and attribute of the process are characteristics to determine the critical parameter of the process, the tolerance limit of the process, and how best to control them. Controllable parameters may be parameters that are adjustable like drying time and temperature. At other time it may be desirable to fix a parameter by specifically setting one value and not testing around the variability. A cause and effect relationship may be established for parameters and desired attributes. Critical quality attributes are dissolution, assay, blend and tablet uniformity and stability. A cause and effect relationship for a solid dosage form is shown in Figure 2. The pilot production phase is carried out either as a shared responsibility between the development laboratories and its appropriate manufacturing counterpart. The joint pilot operation between the development laboratory and production is shown in Figure 3. ➢ If formulation is considered to be stable, additional pilot laboratory batches in order to expand non-clinical and clinical use. Blending: Blend time, rotation rate, agitator speed, room temperature, humidity. Milling: Impeller speed, feed rate, room temp, humidity. 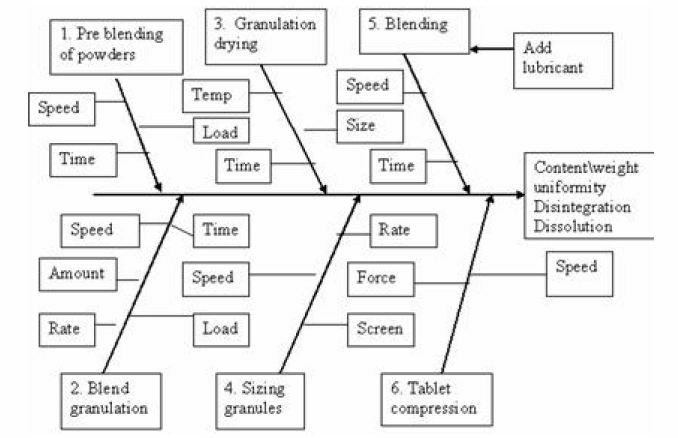 Fluid bed granulation: Granulation fluid mixing time, fluid mixing speed, fluid amount, fluid addition rate, fluid temperature, spray nozzle air volume, bed mixing time, supply air flow rate, dew point, product bed temperature, exhaust air temperature, filter shaking intervals. Wet granulation: Granulation fluid mixing time, fluid mixing speed, fluid amount, fluid addition rate, fluid temperature, spray nozzle air volume, drug and wet mixing time, impeller speed, chopper speed, power consumption. Fluid bed drier: Supply air flow rate, temperature, product bed temperature, exhaust air temperature, filter shaking intervals, final moisture content. Compression: Tablet weight, turrent speed, main compression force, pre compression force, feeder speed, upper punch entry, room temperature, humidity. Coating: Coating suspension mixing time, mixing speed, amount, spray rate, atomization, pressure, pan rotation speed, pre heat time, supply air flow rate, temperature, product bed temperature, exhaust air temperature. As R&D has established the desired operating range of parameters and attributes, manufacturing should monitor both the parameters and attributes over time and review the information at a pre determined frequency with emphasis on critical key parameters by trend chart, control chart, and process capability. Process specific improvement by flow charts, fish bone diagram, QFD, FMEA, pareto chart, DOE (Design of experiments), correlation analysis, F-test, Scatter diagrams. Materials, instrumentation, machine calibration and maintenance, human factors and plant layout. The Plant layout includes environmental factory like temperature, pressure, humidity, general cleanliness, orderliness and layout of an area provides an indirect effect on the variation of a product. Nowadays Validation is the art of designing and practicing the designed steps together with the documentation in pharmaceutical industry. Validation itself does not improve processes but confirms that the processes have been properly developed and are under control in achieving, maintaining the quality of the final product. Application of validation principles will ensure to maintain quality, consistency and reproducibility in product manufacturing process and safety of the pharmaceutical products required from regulatory agencies across the world. The multidisciplinary validation team must identify, study the product and process characteristics and incorporate the important required validation key parameters to ensure that that product will meet all quality, manufacturing, and regulatory requirements. Process validation in solid dosage form is a systematic approach in identifying, measuring, evaluating, documenting and re-evaluating the critical steps in the pharmaceutical solid dosage form manufacturing process with control to assure consistency in the quality of final product. From this review we can conclude that the pharmaceutical process validation and process controls are important steps in manufacturing of solid dosage form with consistent to meet the regulatory required standard such as identity, strength, quality, purity and stability in the final solid dosage form [tablet]. Agalloco J, Carleton FJ (2008) Validation of Pharmaceutical Processes (3rd edn), Informa Healthcare, New York, USA. Tarun Virmani (2007) Validation: An Essentiality In The Pharmacy. Patel RC, Bhuva CK, Singh RP, Abhishek D, Sharma A (2011) Pharmaceutical Process Validation Why to Do, When to Do and How to Do it. Centre for drug evaluation and research, FDA (2008) Guideline on general principles of process validation. Dietrick JM, Loftus BT (2003) The regulatory basis for Process Validation: Pharmaceutical process validation. (3rd edn), Marcel Deckker, NY, USA. 1-8. Saraf S, Dashora K, Singh D, Swarnlata Saraf (2005) Validation - the Essential Quality Assurance Tool for Pharma Industries. 3: 45-7. Lambert J (2004) Validation Guidelines For Pharmaceutical Dosage Forms. Health Canada / Health Products and Food Branch Inspectorate. 7-15. Peither TL (2003) Equipment and facility qualification Pharmaceutical process validation (3rd edn), Marcel Deckker, NY, USA 443-63. Chitlange SS, Pawar AS, Pawar HI, Bhujbal SS, Kulkarni A (2006) A Validation. Chao AY, John Forbes F (2003) Prospective process validation Pharmaceutical process validation. (3rd edn), Marcel Deckker, NY, USA. Trubinski CJ (2003) Retrospective validation: Pharmaceutical process validation. (3rd edn), Marcel Deckker, NY, USA. Ahir KB, Singh KD, Yadav SP, Patel HS, Poyahari CB (2014) Overview of Validation and Basic Concepts of Process Validation. Scholars Academic Journal of Pharmacy 3: 178-90. Parashar B, Gupta R, Khurana G (2013) A review on process validation as an essential Process. International Journal of Research in Pharmaceutical Sciences 4: 226-9. Chaitanya Kumar G, Rout RP, Ramtake S, Bhatacharya S (2005) Process Validation. The Indian Pharmacist 14-9. Kathiresan K, Kiran K (2005) Basis of validation- Pharmaceutical Prospective. (1st edn), K.K. Publishers, Chidambaram 32-46. Varshney P, Shah M, Patel P, Rohit M (2013) Different aspects involved in process validation. Innovare Journal of Science 1: 16-9. Nash RA, Wachter AH (2003) Introduction: Pharmaceutical process validation. (3rd edn), Marcel Deckker, New York, USA. Calnan N, Redmond A, O'neill S (2009) The FDA's draft process validation guidance – A perspective from industry. Pharmaceutical Engineering 10-6.
International Conference on Harmonisation (ICH) (2009) Guideline for industry. Q8: Pharmaceutical Development. International Conference on Harmonisation (ICH) (2005) Guideline for industry. Q9: Quality Risk Management. International Conference on Harmonisation (ICH) (2005) Guideline for industry. Q10: Pharmaceutical Quality Systems. Bankar GS, Anderson NR (1987) Tablets: The theory and practice of industrial pharmacy (3rd edn), Varghese publishing house, Mumbai, India. Sharp JR (1986) The problems of process validation. Pharmacy Journal 1: 43-5. Jatto E, Okhamafe AO (2002) An Overview of Pharmaceutical Validation and Process Controls in Drug Development. Tropical Journal of Pharmaceutical Research 1: 115-22. Chow S (1997) Pharmaceutical Validation and Process Controls in Drug Development. Drug Information Journal 31: 1195-201. Center for Drug Evaluation and Research, US Food and Drug Administration (1987) Guideline on General Principles of Process Validation. Washington DC, USA. WHO (2014) Good Manufacturing Practices for Pharmaceutical Products. Guidelines on Validation of Manufacturing Process, Geneva, Switzerland. Gupta S, Saini S, Singh G, Rana AC (2012) Industrial Process validation of tablet dosage form: An overview. International Research Journal of Pharmacy 3: 48-54. Glodek M, Liebowitz S, McCarthy R, McNally G, Oksanen C, et al. (2006) Process robustness - A PQRI white paper. Pharmaceutical Engineering 1-11. Teja S (2011) Process validation: An essentially in the pharmaceutical Industry. International Journal of Pharmaceutical Research and Development 3: 133-42. ISPE (2012) Stage 2 Process Validation: Determining and Justifying the Number of Process Performance Qualification Batches. ISPE (2012) Stage 3 Process Validation: Applying Continued Process Verification Expectations to New and Existing Products. WHO (2006) Supplementary guidelines on good manufacturing practices: validation. Technical Report Series. Ajay S, Seema S (2013) Process Validation of Solid Dosage Form: A Review. International Journal of Research in Pharmacy and Science 3: 12-30. Sharma V, Seth N (2014) Industrial process validation of tablet dosage form: a review. International Journal of Pharmacy Review & Research 4: 80-4. Rudolph JS, Seplyak RJ (2003) Validation of solid dosage forms: Pharmaceutical process validation. (3rd edn), Marcel Deckker, NY, 159-90. Jena S, Arjun G, Ravipati NVAK, Satish kumar D, Vinod KR, et al. (2010) Industrial process validation of solid dosage forms – an overview. International Journal of Pharmaceutical Sciences Review and Research 4: 145-54. Aleem H, Zhao Y, Lord S, McCarthy T, Sharratt P (2003) Pharmaceutical process validation: an overview. Journal of Process Mechanical Engineering 217: 141-51.